Just need some help on all the details of successfully getting a medical marijuana permit for growing, dispensary, and any of the other parts of the business in Oklahoma. I also live in Oklahoma. We have a month before they start accepting applications and I’m looking to find a doctor to recommend cannabis for me. If anyone knows a doctor please let me know, I live in Oklahoma City and I need a new primary care physician who is not opposed to medical cannabis. 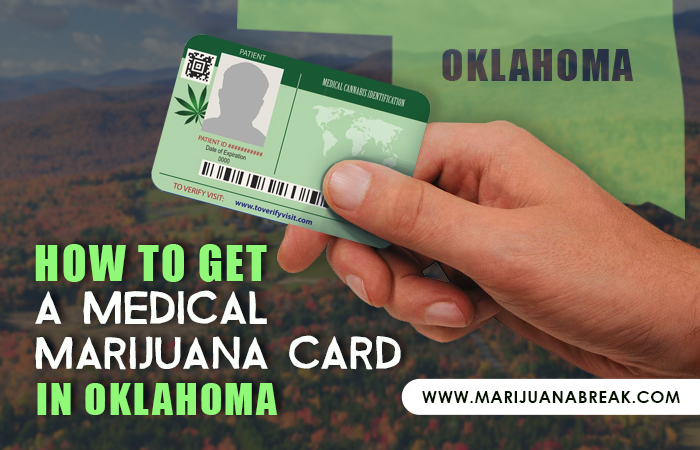 In this comprehensive step-by-step guide, we are going to explain all you need to know about obtaining a Medical Marijuana Card in Oklahoma. Get info on the process, qualifying conditions and local doctors. Clinic opened up in Edmond, ok today for anyone in the area. They don’t seem to accept insurance which seems to be the normal but if you really want something you got to pay right. Anyways I’m excited and going to schedule my appointment in the next few weeks waiting until it’s closer to the application acceptance day late August. Is it true that if you have a medical card that you can’t have a firearm anymore? That is what the federal government is saying yes. I think the state is trying to come up with a bill to fight that though. Federal law will always trump state law when it comes to firearms. And yes, a question on the 4473 (background check form) specifically asks about marijuana use. That is why Trump’s bipartisan bill ending federal ban on marijuana and making it a State issue needs to be passed. I hear their is one in tulsa now . my dr. I tried already he is not exactly ok with it yet but im gonna try to work with him first. but most definetly tulsa has atleast one. I heard he was gonna open a office in the city also. you know the office name and how much . I asked my doctor about that. He said they (meaning the state and feds both) know there is a problem and the are working to resolve it. He said just be sure not to carry if you are using. A little foggy, but that’s the best he could come up with. I also live in Oklahoma. We have a month before they start accepting applications and I’m looking to find a doctor to recommend cannabis for me. This website has the Okla MMD’s listed. Get more information on medical marijuana in Oklahoma. Learn about local regulations and find local doctors at Marijuana Doctors. BTW: My doctor is in Broken Arrow. I like him He is a vet, I read that he is MMA, and he is still a major in the army. I don’t think we are supposed to recommend on the forum, but he is easy to find at website I posted. Thanks you. He’s gone for good.